October 31, 2013 | David S. Maldow, Esq. Today's meeting rooms and shared workspaces force us to make an unfortunate choice. We can use our personal devices, or we can use the premium meeting room collaboration tools in the room. If we use our own devices, life is simple, there is no learning curve, no complicated tools to learn. You can present a slide deck using the very same laptop or tablet you used to create the presentation. 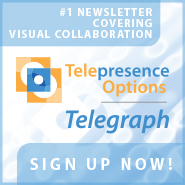 You can host videoconferencing meetings using the same VC solution you use at your desktop. But you are limited by the screen size and audio capabilities of your device. The result is a smoothly run presentation / meeting with limited impact. On the other hand, we can learn to use dedicated (and expensive) meeting room tools and systems with premium audio and video quality. While this provides us with a more immersive and productive experience, it can lead to more failed meetings due to user error and technical complications. 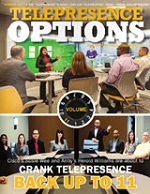 It also requires the implementation of expensive dedicated tools in your meeting room to begin with. This is where Vaddio steps in with its GroupSTATION solution (which has gone GA today). We met with Vaddio CEO, Rob Sheeley, to see this offering in action and get the details about Vaddio's plan to embrace the BYOD revolution. The offering consists of two parts (Sound / Camera Bar, and MicPod doc), that work together to provide a premium collaboration experience powered by your choice of device and app. This is the best of all worlds. You get to use the big screen in the meeting room, supported by quality audio and video, while controlling and driving your presentation from your personal device. Your laptop or tablet provides the brains, and Vaddio provides the muscle. Maximum impact with minimum hassle. Many meeting rooms have an existing large screen used for various purposes. Traditionally, in order to use it for videoconferencing, organizations would purchase a dedicated videoconferencing appliance, for $5k to $20k, running proprietary software. In today's world, we all have our own personal videoconferencing devices in our pockets and briefcases. However, while mobile VC has its uses, it just doesn't provide the experience we need for a truly productive group meeting. The software is fine, but the microphones, speakers, and cameras on these little devices just aren't up to the task. Vaddio is well known for their quality USB cameras, one of which is the centerpiece of this new media bar. The bar combines the Vaddio camera with 30 watt loudspeakers. Hang the bar up, over your standard meeting room monitor, and you now have a high powered VC / presentation station. 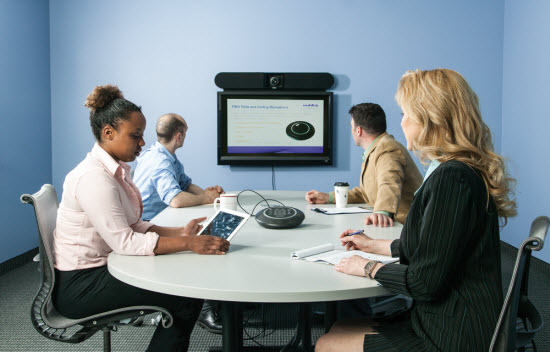 The pod and its four integrated microphones are designed to provide complete coverage for a small meeting room or huddle room with a 360 degree pickup radius and a 12 foot range. But this is much more than a typical microphone pod, this is a collaboration hub for your personal device of choice. Whether you work on your phone, tablet, or laptop, you can connect directly to this hub and immediately have your app, presentation, meeting, etc., up on the big screen with quality audio. The hub is completely device and app agnostic. 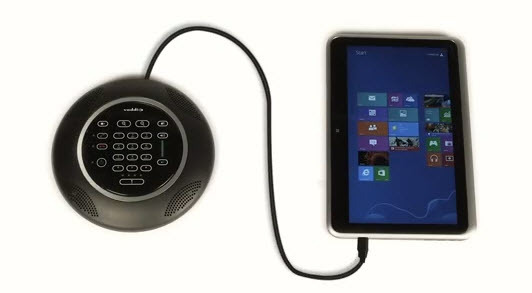 It doesn't care if you are connecting with iPad, Android or PC, running Lync, Skype, Powerpoint, or surfing the web. It treats all connections and feeds equally. As Rob explained, the goal here is more than just providing quality audio and video. This is more than a camera, speaker, and microphone bundle. It is really about enabling workers to function more efficiently by using their own personal apps, in group meeting settings. This isn't just about videoconferencing or slide decks, this is about making your new Smart Meeting Room an extension and enhancement of your favorite personal devices. The bundle retails for $3,495, significantly less than the price of a typical videoconferencing appliance alone (forget about a complete room presentation package), while arguably providing much more value. For that cost your team can now host powerful and impactful working sessions, without having learn any new systems or interfaces. A win / win, and a bargain to boot. I think many users will soon say goodbye to the days of learning propriety appliances, and enjoy the experience of simply docking their device and running the Smart Room. 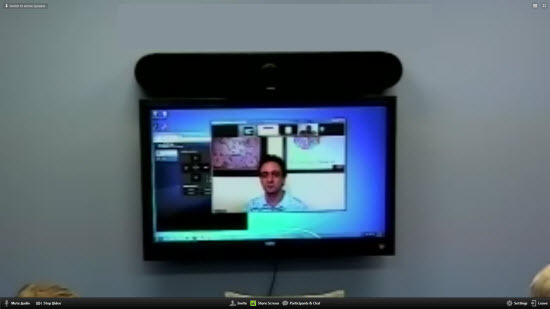 Many meeting rooms have an existing large screen used for various purposes. Traditionally, in order to use it for videoconferencing, organizations would purchase a dedicated videoconferencing appliance, for \$5k to \$20k, running proprietary software. In today's world, we all have our own personal videoconferencing devices in our pockets and briefcases. However, while mobile VC has its uses, it just doesn't provide the experience we need for a truly productive group meeting. The software is fine, but the microphones, speakers, and cameras on these little devices just aren't up to the task. Vaddio is well known for their quality USB cameras, one of which is the centerpiece of this new media bar. The bar combines the Vaddio camera with 30 watt loudspeakers. Hang the bar up, over your standard meeting room monitor, and you now have a high powered VC / presentation station. The bundle retails for \$3,495, significantly less than the price of a typical videoconferencing appliance alone (forget about a complete room presentation package), while arguably providing much more value. For that cost your team can now host powerful and impactful working sessions, without having learn any new systems or interfaces. A win / win, and a bargain to boot. I think many users will soon say goodbye to the days of learning propriety appliances, and enjoy the experience of simply docking their device and running the Smart Room.